As a child, Dave Pelzer was brutally beaten and starved by his mother. The world knew nothing of his living nightmare and he had nothing and no one to turn to. But his dreams kept him alive, dreams of someone taking care of him, loving him and calling him their son. Finally, his horrific plight could no longer be hidden from the outside world and Dave's life radically changed. THE LOST BOY is the harrowing, but ultimately uplifting, true story of a boy's journey through the foster-care system in search of a family to love. The continuation of Dave Pelzer's story is a moving sequel and inspirational read for all. The Lost Boy is the harrowing but ultimately uplifting true story of a boy's journey through the foster care system in search of a family to love. This is Dave Pelzer's long awaited sequel to A Child Called 'It'. 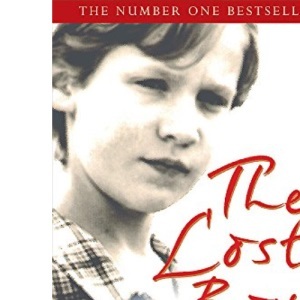 The Lost Boy is Pelzer's story - a moving sequel and inspirational read for all.